Welcome to SharePointCafe.Net - A Technical Blog on SharePoint, ASP.Net Programming, and Cloud Computing. I am a full-time software developer with having more than 6 years of experience and a part-time blogger. Most of my journey over the years include - SharePoint, ASP.Net, C#.Net, Cloud Computing. I love programming and eager to find a solution to a problem. I started this blog in the year 2011, but actively writing since the year 2016 with the purpose of sharing my development experience across the globe. I provide code, theory, solution based on my development experience. 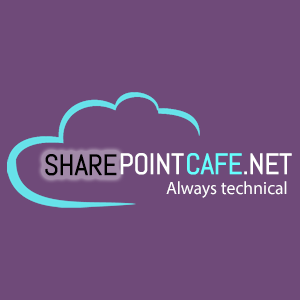 SharePointCafe.Net blog contains SharePoint 2010/2013, ASP.Net Programming problems and solutions, MVC Tutorial, Web API,Angular, WCF. Recently I have started Cloud Computing (Azure and AWS). I am not the master of all technologies but I love coding, debugging, finding solutions. And these interests motivate me to share my experience with others, a blog is the best way to share your knowledge, thoughts across the globe. Here you will find SharePoint 2016, SharePoint 2013, SharePoint 2010, ASP.Net Programming, C#, ASP.Net MVC, MicroServices, Angular, Web API, WCF and Cloud Computing posts. I will try to adopt the latest technologies and will keep sharing the same. Thanks for your time, keep reading and supporting my blog.